The AALL2go learning center is your source for professional education. 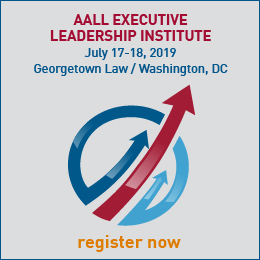 AALL2go offers you specialized continuing education programs designed specifically for legal information professionals. The convenient digital format allows you to expand your knowledge base and gain new skills in your own time. The American Association of Law Libraries (AALL) provides webinars to members as a member benefit. Webinars are available to members on a monthly basis on a wide variety of topics relevant to law librarians and information professionals. The 2015 - 2017 AALL Annual Meeting recordings were sponsored by Thomson Reuters, and the 2018 AALLN Annual Meeting recordings were sponsored by LexisNexis. 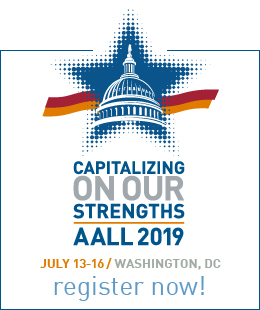 As part of their support of AALL, all of the Annual Meeting recordings are available to AALL members at no charge.